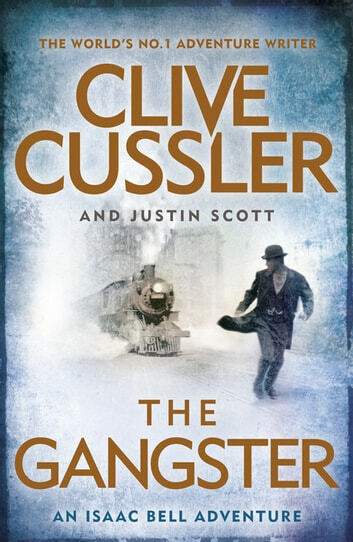 Join Private Detective Isaac Bell as he navigates the seedy back alleys of New York, in the ninth book in the action-packed series from Sunday Times bestseller Clive Cussler. Crime, corruption and murder. . . a vicious organisation is terrorising the city and only one man can stop them. It is 1906 and in New York City the Italian crime group known as the Black Hand is on a menacing spree: kidnapping, extortion, arson. Detective Isaac Bell of the Van Dorn Agency is hired to form a special "Black Hand Squad," but the gangsters appear to be everywhere. So much so that Bell begins to wonder if there are imitator mobs emerging, other criminals using the Black Hand name to further terrorise the city. But then the murders begin, each one of a man more powerful than the last. Bell knows that copycat or not he's facing a lethal organisation, and to his dismay their ultimate target may be the most powerful man of all. Brilliant read one if cussler's best can't wait for the next bell adventure which I hope won't be to long to. I like this book, as i do all the Isaac Bell series, because it is old fashioned story telling at its best. No modern thingymobobs here. Fast paced quick reading however implausible the plot is.